BRIGHAM CITY, Utah – Storm Products is proud to announce that Michael Haugen Jr. has joined Team Storm. Haugen has won five Professional Bowling Association (PBA) Tour Titles including one major title at the 2008 Tournament of Champions and several PBA Regional titles. He has also earned three PBA50 titles including one major at the 2017 Senior U.S. Open. 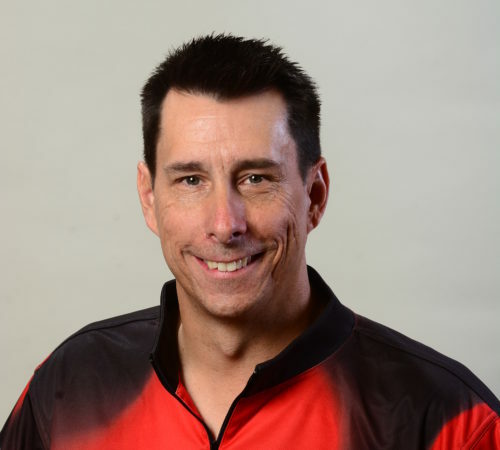 Haugen has been a PBA Member since 1994 and competes on the PBA Tour and PBA50 Tour. Prior to joining Team Storm, Haugen chose to throw Storm and Roto Grip products exclusively on the PBA50 Tour. Haugen recently locked up the PBA50 Player of the Year (POY) honor after his finish at the PBA50 Cup. This achievement makes him the second player to win PBA50 ROY and POY honors in consecutive years. Haugen’s love for bowling started at a young age on the weekends with his grandfather. At age 5, his grandfather thought he was big enough to bowl with him. They continued to bowl together throughout his young life and he was a huge part of his support system on and off the lanes. It didn’t take long for Haugen to figure out what he wanted to do in his life. He knew that he wanted to be a professional bowler from a very young age. He set his goals high and bowled as much as he could. His family always taught him to work hard for whatever he wanted in life and to go get it. For some time now, Haugen’s goals and plans have been focused on the PBA50 Tour. Though he felt he wasn’t as competitive week to week as he would have liked on the PBA Tour, he feels he’s competitive every week now. In 2017, he won one title, made four TV shows and earned the PBA50 Rookie of the Year (ROY) title. After his rookie season, he set his goals a little higher. When Haugen has some time off the lanes, he truly enjoys golfing with friends and especially his wife, Phuong Truong. He loves spending the time with her and he feels that when he’s golfing well, it’s good practice for the lanes as well. Haugen is busy traveling to bowl regional events until the conclusion of the PBA50 Tour at the PBA50 Storm Invitational September 28-30. He is also excited to return to the PBA Tour this fall.